Bracknell to Birkenhead. Waadebridge to Chishester. Ipsich to Milton Keynes. For one very full week in March, Steve Saint and his son Jaime crisscrossed the United Kingdom to share their inspiring stories of sacrifice, reconciliation, and heritage. The Grandfathers received a Redemptive Storyteller Award in the Distinctly Gospel category at the 2011 Redemptive Film Festival. The festival is a showcase for filmmakers whose work expresses God’s redemptive purposes. 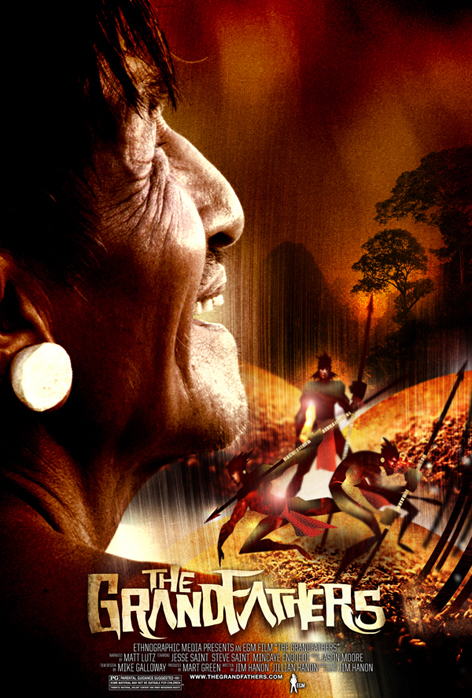 Today on the The Harvest Show director Jim Hanon took viewers behind-the-scenes to discuss the making of the three films that are part of the new Walk His Trail trilogy—The Grandfathers, End of the Spear, and Beyond the Gates of Splendor. Watch the interview now (Jim’s interview begins at the 12:17 mark).